Join the adventure (and dry off later)! Full of family-friendly fun, the Maple Grove Geocache Adventure will expose an entirely new side of the city in which we live. You'll learn things about your surroundings that you never imagined and visit places you didn't know existed. You may even meet a fellow adventurer who has come to town to join in on the fun (just be careful not to give away your most recent secret find). You'll exercise your navigation skills, use technology to your advantage and practic stealth as you attempt to move unseen toward a location yet unknown, all while enjoying the great outdoors. 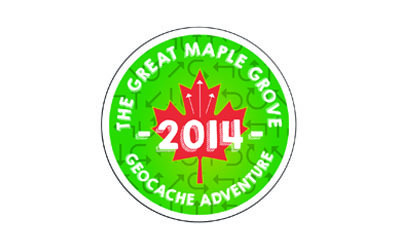 To learn all about geocaching and the Maple Grove Geocache Adventure, check out this month's article! If you're planning to join in on the fun, be sure to register and download your event passport ahead of time.